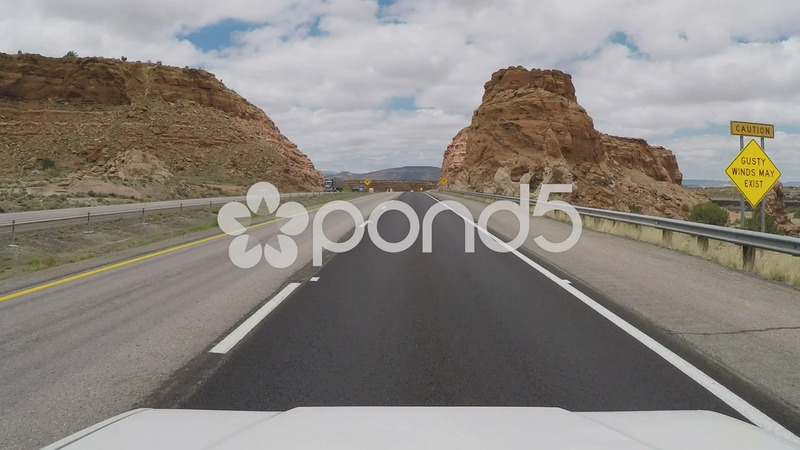 Description: Viewpoint vehicle driving along Interstate 40 between rocky buttes near Albuquerque New Mexico. A driver's point of view of the freeway passing through scenic Southwestern landscape. Part of a series of clips by ChromaVid featuring point of view driving stock video.